Machado hit a two-run drive with two outs in the seventh inning of a 4-1 win over the Arizona Diamondbacks on Wednesday that capped a 4-3 opening homestand. The All-Star slugger lined an 0-2 fastball into the balcony on the second level of the Western Metal Supply Co. Building in the left-field corner. The two-out homer came off former Padres farmhand Matt Andriese. Machado is hitting .240 with three RBIs in his first seven games after signing a $300 million, 10-year contract early in spring training. While he seemed to be pressing at times during the season’s first week, he said he wasn’t trying to do too much. His homer followed a one-out single by Ian Kinsler, another new Padres player. Left-hander Joey Lucchesi (2-0) extended his scoreless innings streak to 10 1/3 innings to start the season as the Padres avoided a three-game sweep. 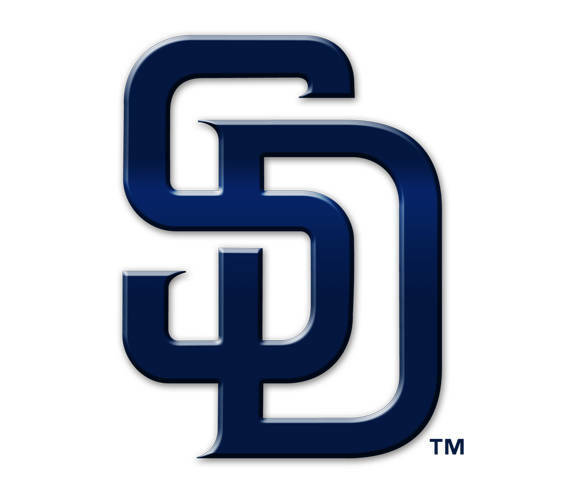 Lucchesi held Arizona to four hits in five innings, struck out six and walked one. Jake Lamb hit an RBI double for Arizona with two outs in the ninth and injured himself halfway between first and second. He walked off under his own power. With two outs in the fifth and two runners on in a scoreless game, manager Andy Green opted to have Francisco Mejia, the backup catcher, hit for Lucchesi, and it paid off. Mejia lined a double into the left-field corner off Robbie Ray (0-1), bringing in Fernando Tatis Jr. from second. Tatis, who had just missed a home run by about 20 feet, and Austin Hedges walked in front of Mejia. San Diego chased Ray with consecutive walks by Machado and Franmil Reyes with one out in the sixth. Yoshihisa Hirano came on and gave up Hunter Renfroe’s single, then walked Eric Hosmer as the Padres took a 2-0 lead. Ray allowed two runs and two hits in 5 1/3 innings, walked five and struck out three. The Diamondbacks won two of three after being roughed up in losing three of four at the Los Angeles Dodgers. Diamondbacks right fielder Adam Jones, a San Diego native, said he asked security to eject a fan who cussed at him after he made a nice running catch of Eric Hosmer’s fly ball in the fifth. “It was a nice play, too, it kind of takes away from the play.” Jones said. Jones said the comment wasn’t racist. Two years ago while with Baltimore, Jones was the target of racial taunts at Boston’s Fenway Park. Diamondbacks: Lovullo said Lamb has a left quad strain and likely will have an MRI Thursday. Diamondbacks: RHP Zack Godley (0-1, 11.81) is scheduled to start the home opener Friday night against the defending World Series champion Boston Red Sox, who make just their second visit to Chase Field. Padres: Rookie LHP Nick Margevicius (0-1, 1.80) is scheduled to start Friday at St. Louis in the Cardinals’ home opener, which was moved back a day because rain is forecast. The Cardinals are scheduled to counter with RHP Jack Flaherty (0-0, 8.31). E_Myers (1). DP_Arizona 1, San Diego 1. LOB_Arizona 6, San Diego 6. 2B_A.Jones (3), K.Marte (1), D.Peralta 2 (7), Lamb (1), F.Mejia (1). HR_Machado (1). Umpires_Home, Chris Guccione; First, Lance Barrett; Second, Mike Everitt; Third, Bill Welke. This entry was tagged Arizona Diamondbacks, Baseball, Craig Stammen, Diamondbacks, MAC, MLB, North Star, Padres, San Diego Padres, Versailles. Bookmark the permalink.